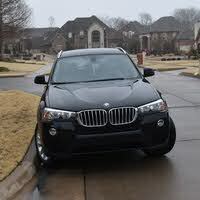 Looking for a Used Q5 in your area? 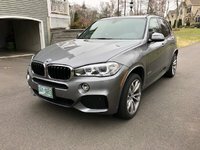 CarGurus has 16,404 nationwide Q5 listings starting at $6,495. The 2017 Audi Q5 is comfortable in its own skin, appearing like the very definition of a compact luxury SUV and then delivering on that appearance with exactly what you’d want in such a vehicle - potent powertrains, a stylish cabin, and ample technology. And the Q5 looks good while doing so. 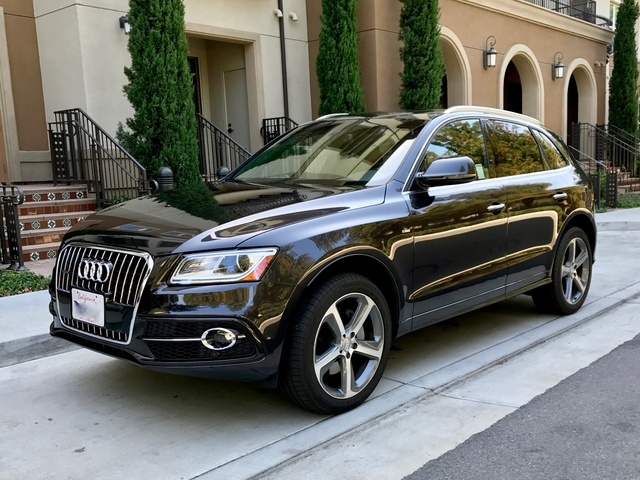 Part of the reason the Q5 seems like the epitome of a compact luxury SUV - and carries a well-adjusted air - is because the 2017 version is, essentially, the same version that first went on sale in 2009. The fact that Audi is still making and selling lots of these vehicles is a testament to the original styling and engineering that went in to the Q5 all those years ago. The second-generation Q5 is expected to arrive next year, so if you want to buy one of these classics new, now is the time. The 2017 model line has only three trims, down from the five 2016 trims. This editing rearranges some of the Q5’s standard features and also includes the discontinuation of the hybrid, which didn’t leave show room floors as quickly as the rest of the Q5s. There’s also a new Black Optic Package available for the 2017 version which adds a blackout grille, matte black roof rails, and 20-inch wheels with summer-only performance tires. Other than that, the 2017 Q5 is the same as the 2016 Q5, which is basically the same as the Q5s Audi has been building for nine years. That consistency should provide consumers an extra dose of comfort, just like it provides the Q5 with an extra dose of reliability. The Premium (base) and Premium Plus Q5 trims come standard with a 2.0-liter turbocharged 4-cylinder engine that produces 220 hp and 258 lb-ft of torque, impressive numbers for a four banger. The top-of-the-line Premium Plus gets a 3.0-liter supercharged V6 that cranks out 272 hp and 295 lb-ft of torque and can push the Q5 from 0 to 60 mph in 6.0 seconds (the 2.0-liter engine makes the run in 7.0 seconds). The 3.0-liter engine is an option for the Premium Plus trim (it will cost you $3,250). Both engines are mated to an 8-speed automatic transmission and all Q5s come with Audi’s celebrated quattro all-wheel drive. This automated AWD system sends 60% of the torque to the back wheels and 40 to the front in normal driving conditions, but it can send all of the power to any one wheel if that’s what best for the vehicle’s traction. If you have to drive in snow for long stretches of the year, the Q5 is an excellent option. That power and performance, and the Q5’s subtle-yet-handsome styling lines, are definite highlights, but many critics and consumers feel the best part of this SUV is its interior. The high-grade and well-coordinated materials, quality craftsmanship, and thoughtful layout exude an elegance that will be familiar to those who have spent time in any Audi. The cabin is roomy, and feels even roomier thanks to the standard panoramic sunroof. The driver has good sight lines, which can be an issue in some SUVs. The long wheelbase means real legroom in the back seats for adults and a generous 29 cubic feet of cargo space behind those seats (57 cubic feet with the seats folded). If you're looking for touchscreen controls, you’ll have to wait for the 2018 Q5. If you like old-school knobs and buttons, the 2017 Q5 still has those for you. Standard features for the Premium trim (which starts at $41,850) include Bluetooth, leather upholstery, power front seats, keyless ignition, iPod connectivity, and a sound system with an SD card for additional memory. The Premium Plus (starting at $44,100) adds heated front seats, a power tailgate, xenon headlights, LED running lights, and optional packages that can bring a navigation system bundled with a rear-view camera, sports seats, an upgraded entertainment system, and more. The Prestige trim ($54,150) builds on the Premium Plus features with standard navigation, adaptive cruise control, adaptive lighting, blind-spot monitors, a Bang & Olufsen sound system, and its own host of unique standalone options. All trims come standard with stability and traction control and the full complement of airbags. There are no lane-departure or collision-avoidance technologies, but the Q5 did receive 4 out of 5 stars for its overall performance in government crash tests, and it was rated a Top Safety Pick+ by the Insurance Institute for Highway Safety. What's your take on the 2017 Audi Q5? Have you driven a 2017 Audi Q5?